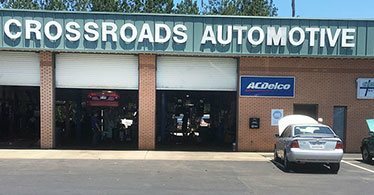 "Crossroads Automotive has been our sole Auto maintenance place for over 20 yrs. The best around." We are Newnan's Premier Automotive Specialists! Come look around and see what we have to offer. Set an appointment, any time, day or night, browse our latest online specials, find out what our satisfied customers have to say, learn more about your car or truck, and more! 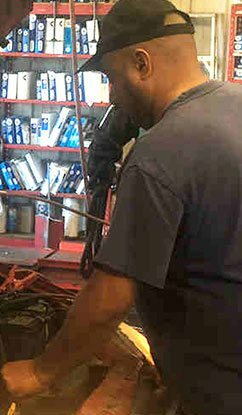 At Crossroads Automotive we fix everything from maintenance oil changes to complete engine overhauls. And to ensure total integrity, we digital photo each repair needed, an industry first. Plus we will save your old parts - just ask. At Crossroads Automotive, we want to be your dependable neighborhood car repair service center. If you need to be picked up or dropped off at your home or office, call us - we will make it happen. Plus we offer free pickup and delivery. Now that's convenient! On most jobs we will have your car back the same day. Now that's service! 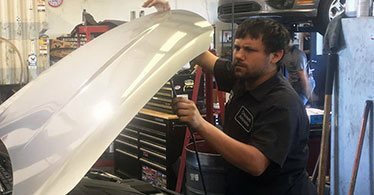 Our ASE trained technicians will service your car right the first time and every time! Our factory maintenance program includes a complete online profile of all Import and Domestic vehicle mileage maintenance schedule service to meet all manufacturer requirements. We take our service on the road for you. Your car doesn't always wait until you get home to break down, so we come to you. Flat tire, out of gas, or your car just won't go? Give us a call! *Visit or call us for details of local and nationwide warranty. Crossroads Automotive is an authorized extended warranty repair center. We accept most extended warranty plans. We are your dealership alternative. Crossroads Automotive is a BBB Accredited business. 90 days interest free same as cash program. If you need it, we have it with our CarCareOne credit card.